Commonly used for: 0% APR, Cash Back, Fair Credit, No Annual Fee, No Foreign Transaction Fees, Student. 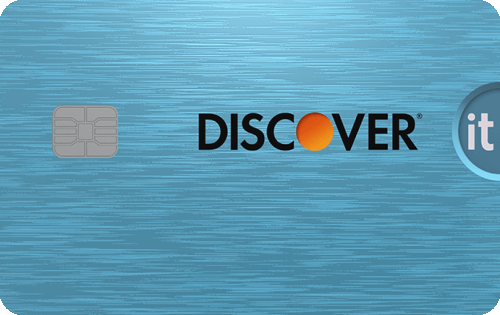 Discover it® Student Cash Back is a card designed for young adults, but one that has had its training wheels removed. Unlike many student cards, this one comes with few fees, a low annual percentage rate for qualified cardholders and generous rewards. This is one of the very best credit cards for college students. The Discover it® Student Cash Back card is jam-packed with goodies. Enroll every quarter to earn 5% cash back on up to $1,500 in purchases made in various categories throughout the year. You’ll earn 1% on all other purchases. Discover will match dollar-for-dollar all the cash back you’ve earned at the end of your first year. There’s also a $20 statement credit every year you get a GPA of 3.0 or higher, which should be more than enough to buy an apple for every teacher you have. The card comes with an OK introductory offer on purchases and a less impressive one on balance transfers. There’s also a 3% balance transfer fee, so you’d be better off transferring a balance to a card with a 0% APR offer. College students typically haven’t built up as much credit history as those in the workforce and might not be eligible for many credit cards. The Discover it® Student Cash Back is like a kindly grandparent, giving those with fledgling credit histories a chance, and it charges no annual fee. This card is hard to top. If you’re a college student who’s organized and looking to build up your credit score, the Discover it® Student Cash Back can reward you for your efforts. You don’t need perfect credit to qualify for this card. Get a $20 statement credit back each school year your GPA is 3.0 or higher for up to five years. The opportunity to earn cash-back rewards is especially generous for a student card. At the end of the first year, all the cash-back earnings are automatically matched. The rotating bonus cash-back categories can be cumbersome to track and may not correspond with the cardholder's biggest spending categories. Other cards have better introductory balance transfer offers. There’s no sign-up bonus with this card, although you do get a cash-back match at the end of the first year. • This card has a 6-month 0% introductory APR offer on purchases. After that it’s a variable 15.24%-24.24%. • There’s a 6-month introductory APR offer on balance transfers of 10.99%, after that it’s a variable 15.24%-24.24%. • You’ll pay no annual fee. • There’s no foreign transaction fees, making this card a good choice for students studying abroad (where Discover cards are accepted). • Late payments won’t affect your annual percentage rate. • There’s a balance transfer fee of 3%. • First late payment fee is waived, after that it’s up to $37. • See Rates & Fees. View your approximate FICO score for free on your monthly statement. The Freeze It feature allows you to turn your card on or off to prevent new purchases, cash advances and balance transfers. Redeem your rewards at any time in any amount as a credit on your statement, an electronic bank deposit, gift cards through Discover partners (in $20 increments) or use to shop on Amazon.com.